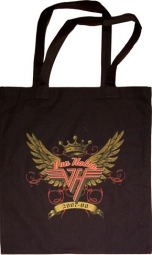 Take care of business in rockin' style with this Van Halen beach / tote bag! Plenty of room to carry everything you need when you are on the go. Perfect for slinging over your shoulder for lunch in the city or a day at the beach. 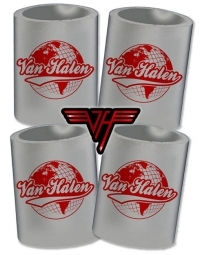 Van Halen's famous Eagle logo is sure to turn heads! 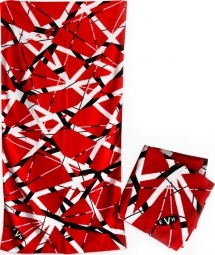 Put a stylish rock 'n' roll element into your daily wardrobe! This unique tote is very useful and makes a great gift! I love the retro style printing on this bag. I also love the thick, canvas handles. This is definitely more heavy duty than the black one, and I can carry just about anything in it. The stitching quality is nice so it should last a long time. Super nice.